Life in this small beach town is off the beaten track and reminiscent of how California used to be: fun, quirky and a #seafoodieparadise with tons of year round events. A true #adventurehub, Morro Bay is an outdoor haven for surfing, sailing, cycling, fishing, hiking, golfing, running and kayaking - just to name a few - in the most beautiful setting imaginable. Now is the time for your #MorroBaycation! Designated as the Best Budget Destination in California for 2018 by Budget Travel, Morro Bay is a world-class destination with rooms to fit any budget including high-end boutique properties located right on the bay. 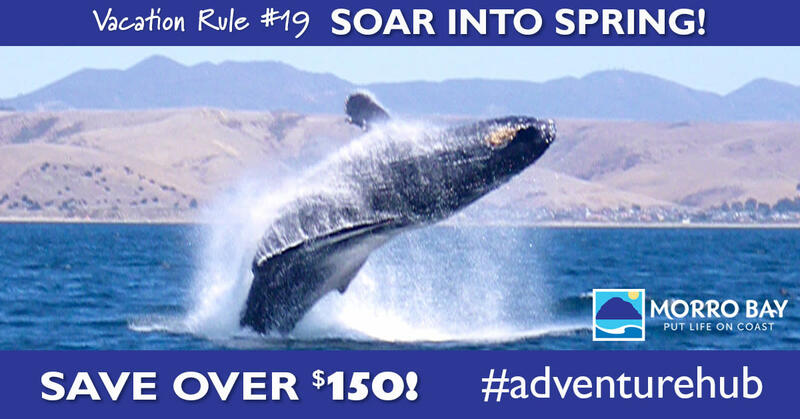 And, when you stay in Morro Bay hotel property this April or May 2019, receive a passport filled with dining and adventure deals worth more than $150 - see bargains below. And, check out these spring lodging deals! APRIL & MAY SPRING PASSPORT OVER $150 VALUE! 10% off kayak rentals for the whole family at Kayak Horizons. $100 off any family charter at Reel EZ Charter Fishing. Buy one 4oz packet of locally made Jerky, get one FREE at Morro Bay House of Jerky. 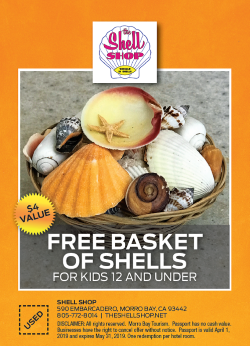 FREE basket of cool shells for kids 12 and under at The Shell Shop, courtesy of Morro Bay Tourism. FREE gift with purchase of $25 or more at the Indie Collective where everything is hand crafted by artisans. 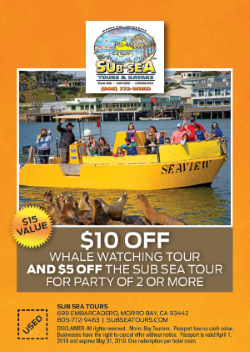 $10 off Whale Watching and $5 off Subsea Bay Tour for Party of 2 or more. Don&apos;t miss these exciting adventures with Subsea Tours! Buy one crepe or waffle specialty and get 2nd 1/2 price at Grandma&apos;s Frozen Yogurt. 20% off bike rentals at The Bike Shop. 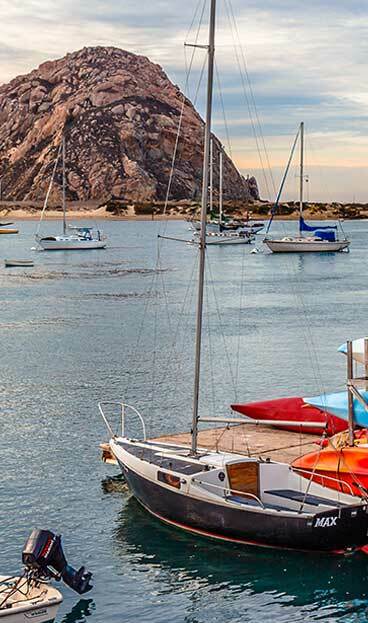 Morro Bay is perfect for family reunions and group get togethers offering abundant lodging choices,amazing local seafood, great restaurants, activities like kayaking and whale watching as well as shopping andwine tasting! Gather your family for a #MorroBaycation today! Disclaimer: All rights reserved; Morro Bay Tourism. Passport has no cash value. Restaurants have the right to cancel offer without notice. Passport is valid April 1, 2019 and expires May 31, 2019. The City of Morro Bay does not guarantee or warrant any of the activities or products offered by the Passport Program; The City does not accept responsibility for acts or omission of the various participants for the Passport Program; and, acceptance of the Passport constitutes an express agreement to absolve the City of any known or unknown liability arising from use of the Passport Program.